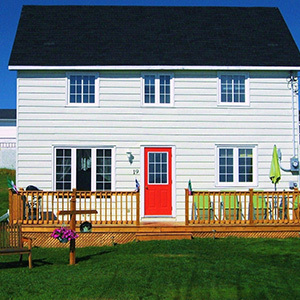 Storyteller’s Retreat is a historic Newfoundland "Salt Box" style home, overlooking the ocean, renovated to meet your vacation needs. 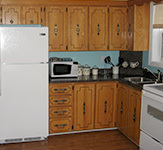 It is a four bedroom vacation rental with modern kitchen, laundry facilities, cable TV, wireless internet and fireplace along with hardwood & laminate floorings. It has a full length deck with BBQ and patio furniture. 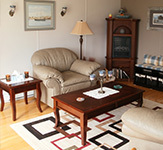 Storyteller’s is located on the north side of Twillingate Island in the Town of Crow Head. Within walking distance you will find, beaches, hiking trails, historic Long Point Lighthouse, All Around The Circle Dinner Theatre, Crow's Nest Cafe, paintings by Pearl and a magnificent view of the ocean and rugged coastline. Only minutes drive from Boat tours, Museums and Art galleries. 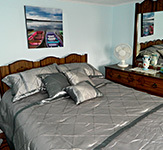 Ideal for 2-4 couples or 2 couples vacationing with children.